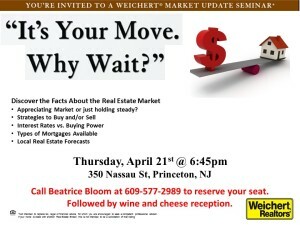 Once again, Weichert will be presenting the Spring Market Update Seminar! In one hour, you will acquire truly essential information on how to analyze the current real estate market trends and the opportunity presented by historically low interest rates. Learn about absorption rates and how it impacts buyers and sellers. I really hope you can attend, whether thinking of making a move now or sometime down the road. To reserve your seat, please contact me. RSVP is a MUST. The Weichert Family of Companies announced the start of its 36th Annual WeichertToy Drive. Members of the community are invited to drop off new, unwrapped toys at each of the company’s sales offices now through December 12. The toys will be delivered throughout the holidays in conjunction with local charities that assist financially and physically disadvantaged children. 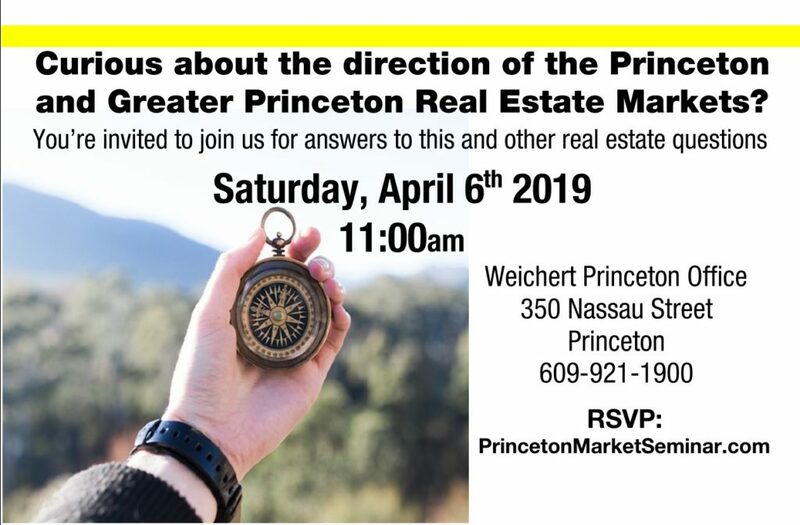 Donations can be made at Weichert, Realtors Princeton, 350 Nassau Street.